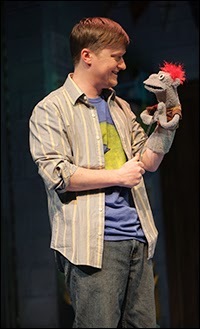 After an acclaimed and extended run off-Broadway at MCC, Robert Askins's Hand to God will be produced on Broadway this spring. The play focuses on Jason, who finds "an outlet for his burgeoning creativity at the Christian Puppet Ministry..." Things take an interesting and provocative turn when Jason's puppet, Tyrone, "takes on a shocking and dangerously irreverent personality all its own." 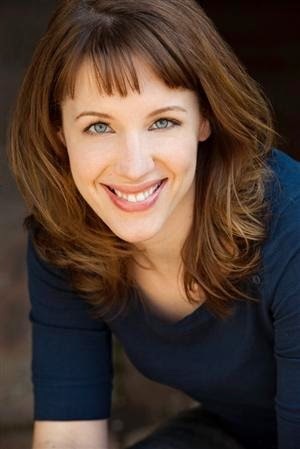 The Broadway bow will feature the MCC cast: Steven Boyer (Modern Terrorism) as Jason, and Geneva Carr, Marc Kudisch (On a Clear Day lab), Sarah Stiles (On a Clear Day) and Michael Oberholtzer in featured roles. Director Mortiz von Stuelpnagel will reprise his work for Broadway. Previews begin March 12, 2015, with opening night set for April 7. Hand to God will play the Booth Theatre. Playbill has more. Off-Broadway—I'm not Neil LaBute's biggest fan, but I am excited for Thomas Sadoski (Other Desert Cities, The Newsroom) to star in the world premiere of his play, The Way We Get By, being presented at Second Stage this spring. Sadoski will be joined by Orphan Black sensation Tatiana Maslany. Previews will begin on May 12, 2015, and performance run through June 28. Leigh Silverman (Violet) directs. 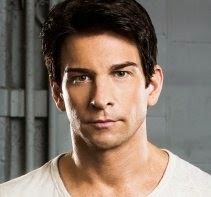 Broadway.com has more. Broadway—Additional casting has been announced for Roundabout's revival of On the Twentieth Century. Joining the previously announced Kristin Chenoweth and Peter Gallagher are Tony nominee Andy Karl (Rocky), Mark Linn-Baker (You Can't Take it With You), Tony winner Michael McGrath (Nice Work if You Can Get It) and Mary Louise Wilson (Grey Gardens). The Comden + Green and Cy Coleman musical, directed by Scott Ellis (The Mystery of Edwin Drood) begins previews on February 12, 2015, with opening night set for March 12. The limited engagement will conclude on July 5. Broadway.com has more. TV—Leslie Jones, who has been writing for SNL since January, is now a cast member on the sketch show. Jones has appeared in Weekend Update segments, and also in a couple of sketches, including a pre-taped commercial parody in the most recent episode. Jones announced the good news on Twitter. Congratulations to the funny and spirited performer. Film—Topher Grace (That '70s Show, Lonely I'm Not) will star in One Shot, a movie musical about a failed Broadway star moonlighting as a stage manager while trying to win back his girlfriend. Grace is also an executive producer on the flick. Playbill has more. TV—Tony nominee Jeremy Shamos (Clybourne Park, Dinner with Friends) will join the cast of Nurse Jackie in a recurring role. The seventh and final season the Edie Falco-led series is filming in New York. Deadline has more. 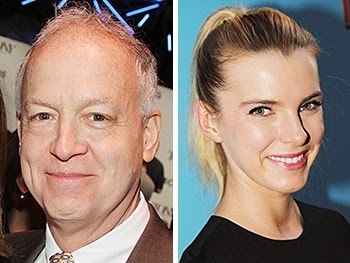 Off-Broadway—Tony nominee Reed Birney (Circle Mirror Transformation, Casa Valentina) and Betty Gilpin (We Live Here, Nurse Jackie) will headline the Atlantic Theater Company's production of I'm Gonna Pray for You So Hard, a new play from actress-writer Halley Feiffer (The Substance of Fire, Tigers Be Still). Previews begin January 7, 2015, with opening night set for January 20. The limited engagement, directed by Trip Cullman (Murder Ballad), will conclude on February 15. Broadway.com has more. Film—Oscar winner Christian Bale (The Fighter, American Hustle) will star as Steve Jobs in the Aaron Sorkin-penned biopic. Bale comes aboard after some reshuffling, including Sorkin's The Social Network collaborator, director David Fincher, bowing out and Danny Boyle (127 Hours) stepping in. The Hollywood Reporter has more. 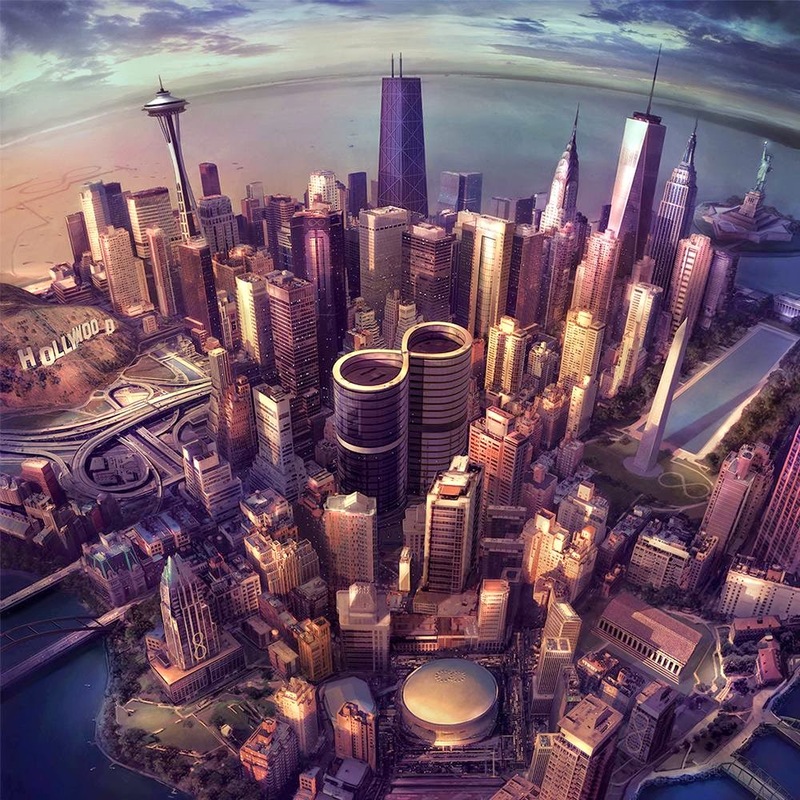 Foo Fighters: "Something from Nothing"
Nominees for the Gotham Independent Film Awards were announced this week, with nods for critical favorites Boyhood, The Grand Budapest Hotel (saw it; liked it); and Birdman. 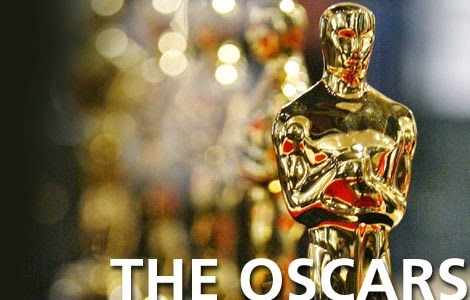 The Wrap has the full list of nominees. Winners will be announced and honored on December 1. The Film Independent Spirit Awards will be broadcast live and in full, rather than delayed and edited. Nominees will be announced on November 25, and the ceremony will take place on February 21, 2015, beginning at 5pm EST. The Wrap has more. Gold Derby wonders whether Oscar will look kindly on some young contenders, especially Tony winner Eddie Redmayne (Les Miserables, Red), who is drawing raves for his performance as Stephen Hawking in The Theory of Everything. Broadway.com checks in with The Last Ship's lovely leading lady, Broadway newcomer Rachel Tucker. In the "Fresh Face" interview, Tuckers talks about her connection to the show (opening Sunday) and how Sting is a father figure. Alysha Umphress takes you behind the scenes at On the Town in the latest episode of her Broadway.com vlog, Taxicab Confessions. 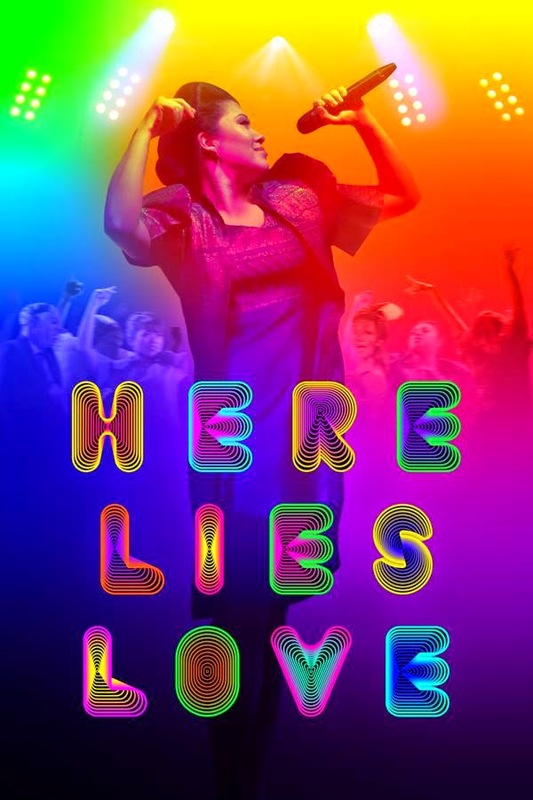 Not so diggable but newsworthy nevertheless: Here Lies Love will conclude its off-Broadway commercial run on January 3, 2015. Broadway.com has more about the David Byrne–Alex Timbers musical about Imelda Marcos. But another Public show is extending: The Fortress of Solitude, adapted from the Jonathan Lethem novel, will now run through November 16. Broadway.com has more. Buzz Feed checks in with six-time Emmy Award winner Allison Janney for a career-spanning retrospective. It's still over a year away, but dates have be (re)set for the Roundabout revival of Noises Off, starring Tony winner Andrea Martin (Pippin). Previews will begin December 17, 2015, and opening night is scheduled for January 14, 2016. Broadway.com has more.